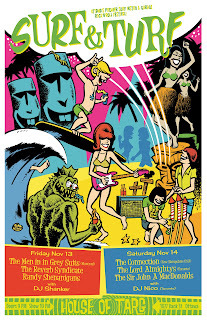 Or sometime in November anyway... Poster for an upcoming surf/garage fest in our nation's capital. If you're one of those soulless government bureaucrats bent on destroying everything good about our society or just a regular human, you should go to this if you're in the Ottawa area. I don't fit into either of those categories so ya won't see me there but my old pal Pat put this show together and he's a cat who knows his rock'n'roll so it's sure to be a blast! 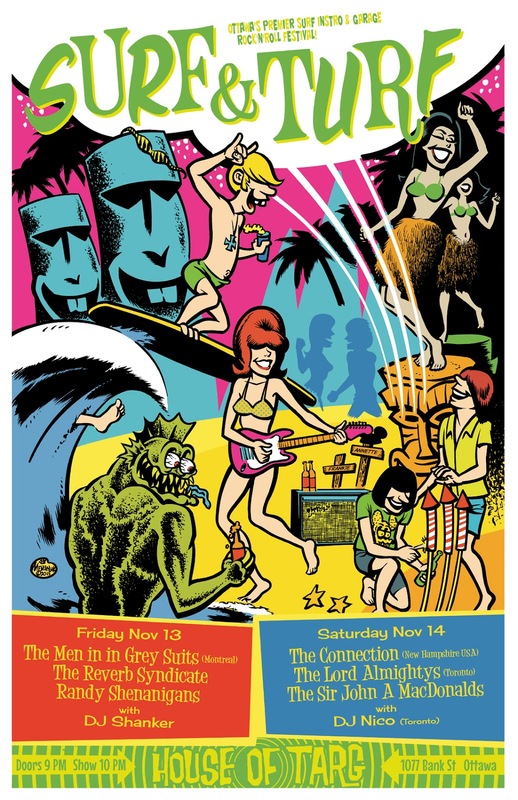 Stay tuned for MORE SURFIN' IS THE ONLY LIFE, THE ONLY WAY FOR ME ACTION! 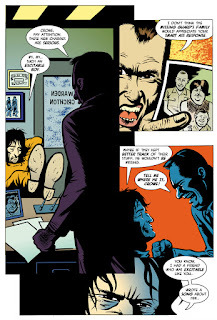 Here's the first of 2 pages I did for the new issue of Nix Comics Quarterly which is due out soon. Continuing the adventures of incarcerated shock rocker/serial murderer Aleister Crowe, this page is the intro to another story written by Ken Eppstein (as was the above page) and drawn by Rich Trask, with another Crowe page at the end wrapping up this vignette. I gotta say that everything I've seen from this upcoming issue (which is #8 in the series) looks great and makes me real proud to be associated with this fine as wine funnybook. Check out the Nix website for more info or to order a copy. Stay tuned for MORE PSYCHO SINGER/SONGWRITER ACTION!